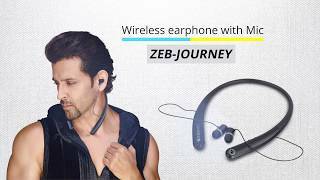 ZEB-BH500 is a wireless BT headset which comes with magnetic ear cup holder. It features dual pairing and has call function. The BT headset also comes in a clip design and has a full charge indication.